Poltrona Frau’s Sanluca armchair was an early anticipator of the principles of ergonomics, with three points of support for the spine. 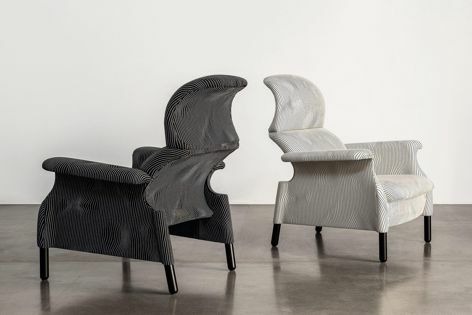 Italian furniture maker Poltrona Frau has unveiled a new version of the iconic Sanluca armchair featuring an original fabric inspired by an unpublished drawing. Originally designed by brothers Achille and Pier Giacomo Castiglioni in 1961, the Sanluca armchair features a sinuous yet angular profile which is dynamic and sculptural.